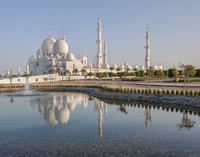 home / Tagged "City Tours"
See Bastakyia, Dubai Creek, Deira, the Souks, the Jumeirah Mosque and Burj Al Arab. Lunch at the Musical Fountains of "Dubai Mall". See Palm Island, Atlantis the palm , Dubai Marina & Emirates Mall with its SKI Station. Enjoy a fantastic 8 hours tour in Dubai by visiting the world's tallest tower Burj Khalifa which is 828 meters high and have a lovely dinner at the Armani hotel which is one of the most luxury hotels in Dubai where you can watch the beautiful fountain shows every 30 minutes, ride on a traditional boat for 30 minutes inside Dubai Marina which has more than 200 skyscrapers before you drive the 8th wonder of the world the Palm Island to take pictures for the Atlantis hotel and stop at 7* hotel for pictures from outside (Burj Al Arab) hotel. This Private Dubai city tour is so unique and different as its a combination of a public ferry ride that will enable you to move enjoyably across the Arabian gulf linking Deira (the old city ) and Dubai marina areas(the new city ) and vice versa .The second part of your tour will be by private vehicle to visit the most interesting places in Dubai ._x000D_ Special Offer - Book by February 1st, 2017 to save 10% off our previously offered price! - Book Now! The capital of the Arab emirates offers a fascinating blend of tradition and modernism, from the beautiful emirates palace hotel and circuit formula 1 of Yas Island to the majestic Sheik Zayed grand mosque and traditions of heritage village. With this full day excursion you will discover the two faces of Abu Dhabi including a delicious 4* lunch._x000D_ Special Offer - Book by February 1st, 2017 to save 10% off our previously offered price! - Book Now! This awesome combo tour of Dubai will enable you to enjoy taking several photo-stops at the different city landmarks and savor the tastes of variety of dishes while cruising at the Dubai creek, on-board of a traditional wooden boat . _x000D_ _x000D_ Special Offer - Book by February 1st, 2017 to save 38% off our previously offered price! - Book Now! From the old to the new, explore this magical city from Dubai Creek and the heritage area of Bastakia and the Dubai Museum. Enjoy an Abra ride across the creek to the Spice Market and Gold Souk. End your tour with a delicious lunch at the magnificent Burj Al-Arab's Al Iwan Restaurant. Abu Dhabi is the capital city of UAE and has lot to see such as Famous Emirates Palace and Grand Mosque along with Yas mall, and Famous Ferrari world.